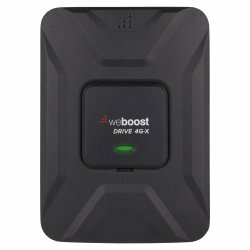 Single-phone cradle boosters and multi-phone broadcast boosters keep you connected on the road. Your navigation and other mobile apps will continue to work farther away from cell towers, and you’ll experience fewer dropped and missed phone calls. Stay connected farther away from cell towers. Get a clear signal in dense, urban areas with overcrowded cellular transmissions. Reduce or eliminate dropped calls and missed texts. If you need assistance finding the right vehicle booster for your needs, please contact us and we’ll be happy to help you.